What are the differences between strength training and cardiovascular exercise? Asking whether strength training or cardio building is the best type of exercise strikes me like asking if it is more important to eat your green vegetables or your healthy fats. Both things strengthen the body in important, but different ways. Or is it like asking which is better exercise attire: a swimsuit or a climbing harness? It obviously depends on what activity you are hoping to participate in and what the particular conditions are. To make sure we are talking about the same thing, let’s define these broad categories. Strength training: groups of exercises wherein each individual exercise is of primarily of short, intense duration; wherein the main goal is exertion against weight or force; that is designed to enable the person to be able to lift, move, or resist heavier loads on the muscles than were previously possible; that will likely result in significantly increased muscle mass. Cardiovascular exercise: exercises that particularly engage the heart and lungs for relatively long term increased delivery of oxygen (and taking away of CO2) from the muscles; wherein the main goal is sustained stamina for locomotion. 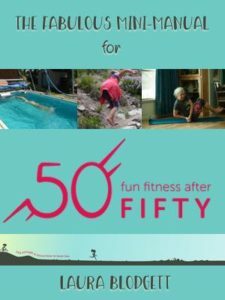 It is true that not all exercises or activities fit neatly into one category or another. We could probably devise a continuum of specific muscle force versus aerobic oxygen delivery needed for various activities. Running would probably be at the extreme of needing lots of oxygen and very little overall muscle strength. Still, even with running there are certain muscles that will get stronger from that action. Rock climbing is probably more toward needing absolute muscle strength, but there will obviously be some stamina involved as well. I love this photo because it is hard to tell I am only about one foot off the ground. That is the most vertical rock climbing I have ever done, though I have climbed my share of rocky terrain during hikes! What is it that people are really asking about exercise? One of the first things to recognize is that studies about exercise are no more reliable than studies about nutrition. The so-called experts are both coming up with new conclusions all the time AND they are constantly contradicting each other. This doesn’t mean we can’t learn new things, but it does mean that there is no good reason to be overly concerned about the latest *discoveries* from research. The next important factor is that each one of us is different. We are different in our body shapes, natural talents, activity preferences, earthly environment, responsibilities, and relationships. These are some of the major things that will affect what we can and want to do for exercise. There is a reason that people in Canada tend to be outstanding in winter sports and people from Australia stand out in swimming. The list could go on and on. As humans, we all have muscles that move and support our bodies. We also all have hearts and lungs that are necessary to get blood to and from those muscles. How much we want to concentrate on strengthening a particular aspect of our bodies is a personal choice. Maybe we feel a particular physical component has been neglected or is not naturally developing the way we want. Sometimes we can help those body parts along. Sometimes we need to brainstorm about how to use best what we can’t change. Sometimes we need to try to do what we like regardless, because stereotypes are often proven wrong. Questions like this will help you hone in on which more basic and routine exercises will be beneficial and rewarding. The answers to the questions don’t need to be unchanging, either. You may get your fill of a certain activity for a while or be introduced to new activities that are loads of fun. It is also noteworthy that the body can get tired of the same activity or just benefit from variety. The main thing is to gradually increase both strength and stamina in ways that will allow you to do what you want to do when you want to do it. You may have to experiment with what exactly is gradual, but keep in mind that while some stress helps to strengthen the body, too much stress will injure it. Too much stress could take the form of too much force at once or too much repetition before the body has had time to adapt. On the other hand, not enough stress and there will be little or no progress. No one can tell you ahead of time exactly how that will be for your body and circumstances. Ideally, you will also come up with an exercise plan that is enjoyable, however every good habit can seem tedious at times. You may have to experiment with when to push yourself and when to rest. Even with attention to this, accidents happen and an injury doesn’t always mean you did something wrong. Probably one of the most useful ways to keep from hurting yourself is to think of how the body is designed to work. If there is any equipment involved, does it enhance your body’s capabilities or impede them? A lot of equipment and clothing promises to protect one part of the body, but ends up leading to injuries in other parts. Shoes would be an example of this. Any footwear, when needed, should still let the foot bend and splay to appropriately shock absorb and keep balance. There are some examples where the activity is so far removed from normal body mechanics or is in extreme conditions, so that restrictions on the body either make sense or are beside the point. With downhill skiing, for example, there is no normal way to send the body flying at great speeds down a slippery slope. Equipment that keeps the feet connected to skis or boards is bound to stress the body. Put it all together and you see that any exercise can be harmful if basics about intensity and body mechanics are ignored. There is also going to be a greater risk factor the more unlike normal body movements the activity is. There is going to be greater risk if the activity is taking place in extreme environmental conditions. There are a variety of physical activities and exercises to be considered in life, just like there are a variety of foods that can all bring the same nutrition to the body. You can get vitamin C from oranges or raw whale blubber. It depends on what you are used to and what is available. 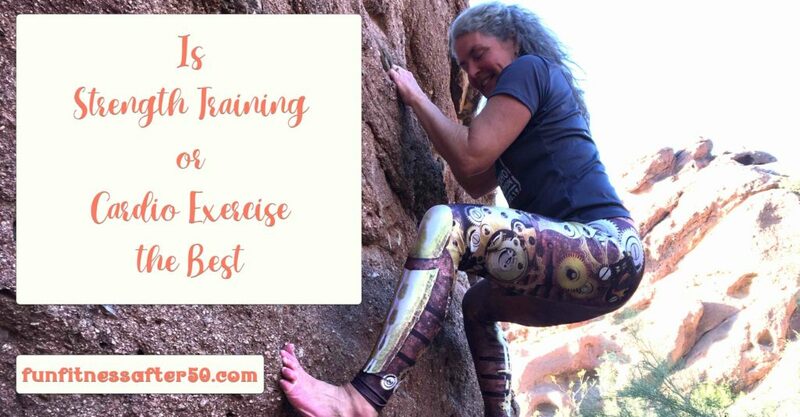 Especially in our day and age, if you don’t like one exercise option, there are plenty of others to try. If you don’t prefer an exercise, it might be because you are doing it wrong or too much or with wrong expectations or not with the right people! If you don’t prefer it that doesn’t mean it is bad for other people! The most foundational exercise is the one that keeps you moving with minimal injury and gives results that suit your goals.